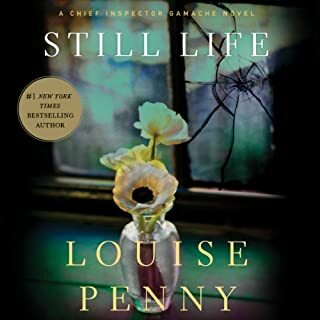 After an overhaul of leadership at the FBI's New York field office, A. X. L. Pendergast is abruptly forced to accept an unthinkable condition of continued employment: the famously rogue agent must now work with a partner. 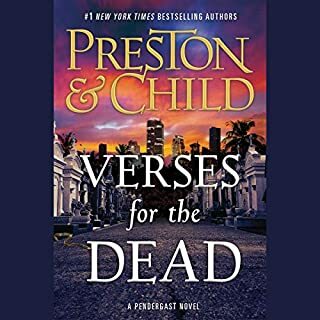 Pendergast and his new teammate, junior agent Coldmoon, are assigned to Miami Beach, where a rash of killings by a bloodthirsty psychopath are distinguished by a confounding M.O. : cutting out the hearts of his victims and leaving them - along with cryptic handwritten letters - at local gravestones, unconnected save in one bizarre way. Unlike some other reviewers, I prefer these Pendergast books that don't have supernatural monsters and Pendergast's dream journeys. However, what I don't like is the authors' tendency to mismatch subject and verb tense as in this example: "There were a surprising number of cars." 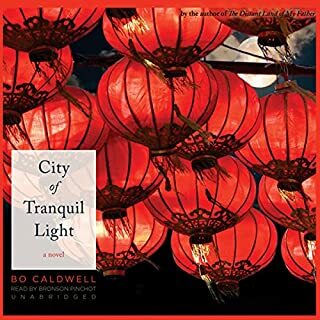 Will Kiehn is seemingly destined for life as a humble farmer in the Midwest when, having felt a call from God, he travels to the vast North China Plain in the early twentieth century. There he is surprised by love and weds a strong and determined fellow missionary, Katherine. They soon find themselves witnesses to the crumbling of a more than two-thousand-year-old dynasty that plunges the country into decades of civil war. When one of the characters was learning to speak Chinese it was noted that the language has four tones, so a sound could be a completely different word on a different tone. Well, Mr. Pinchot has TWO tones, one for the male character and one for the female. They are not very different so it's important to be aware of the subtle changes in inflection to recognize who is speaking. This confused me some early on, but eventually I picked up on the difference. Chief Inspector Armand Gamache of the Surêté du Québec and his team of investigators are called in to the scene of a suspicious death in a rural village south of Montreal. Jane Neal, a local fixture in the tiny hamlet of Three Pines, just north of the U.S. border, has been found dead in the woods. The locals are certain it’s a tragic hunting accident and nothing more, but Gamache smells something foul in these remote woods, and is soon certain that Jane Neal died at the hands of someone much more sinister than a careless bowhunter. I didn't much care for this book but my wife liked it, so the overall 3 is the family average. I don't expect to listen to more books in the series, but she does, so it looks like I will be buying lots of books I don't hear. Oh well. Renée Ballard is working the night beat again and returns to Hollywood Station in the early hours only to find a stranger rifling through old file cabinets. The intruder is retired detective Harry Bosch, working a cold case that has gotten under his skin. Ballard kicks him out but then checks into the case herself, and it brings a deep tug of empathy and anger. Bosch is investigating the death of 15-year-old Daisy Clayton, a runaway on the streets of Hollywood who was brutally murdered and her body left in a dumpster like so much trash. 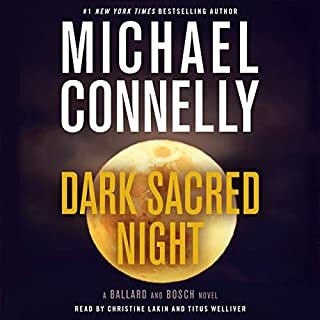 Now, Ballard joins forces with Bosch. I have to agree with other reviewers that the two readers are good, individually, but the ping-ponging of the readers does not work. Also, I didn't care for the plot development with so many cases, many of which were just not interesting. 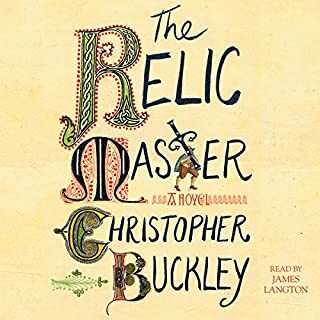 But this won't keep me from reading the next Connelly book and seeing what the next step in Bosch's life is. Someone is stalking the UCLA Medical Center - a depraved madman who is preying upon the staff, particularly those who are young and female. No stranger to the terrible ravages of senseless violence, E.R. 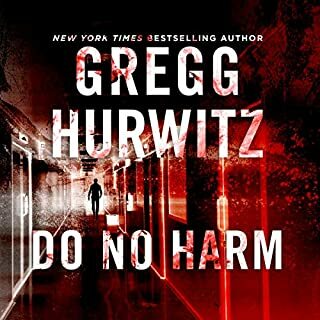 Chief Dr. David Spier must keep the emergency room running smoothly and efficiently, even as his terrified co-workers wonder who will be the next victim. But when the monster himself is dragged into the E.R. in handcuffs - hideously burned, suffering, and begging for mercy - the nightmare is far from over. It has only just begun. I made it through about 10 hours of this book but got tired of cops and docs yelling at each other. When I gave up the plot was just beginning to be interesting but I had my fill of the characters. 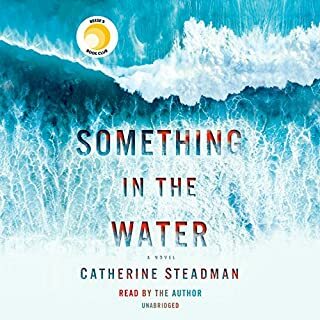 When Darcy runs off on another secret assignment, I am left to figure out how to travel to Italy sans maid and chaperone to help my dear friend Belinda, as she awaits the birth of her baby alone. An opportunity presents itself in a most unexpected way - my cousin the queen is in need of a spy to attend a house party in the Italian lake country. The Prince of Wales and the dreadful Mrs. Simpson have been invited, and Her Majesty is anxious to thwart a possible secret wedding. 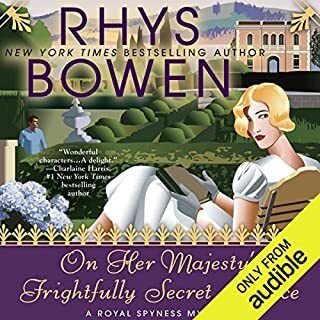 Other reviewers have said what I would say: A typical Royal Spyness book with all the familiar characters plus a few new ones, an interesting plot with some pre-WW2 history thrown in, and a rather obvious bad guy, but who cares. But this is a Must-Read as Katherine Kellgren's last Bowen reading. Hers will be huge shoes to fill for the next reader in the series. I admire her work immensely. 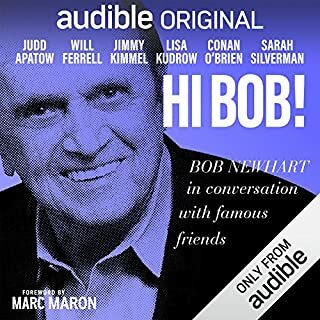 In Hi Bob!, American icon Bob Newhart gets together one-on-one with a handpicked cohort of luminaries in the world of entertainment, whom he happens to be friends with. Bob gets deep with each performer about their aspirations, their careers, how they got started, and how they grew to be where they are today. They make TV shows, movies, or albums, but they all like telling stories. I never watched Bob Newhart's TV shows though I was certainly familiar with his humor. But I thought these conversations were hilarious and caused me to stop in the middle of walks to laugh out loud. I tried to enjoy this but was irritated by the background sounds, especially the one that sounded like someone using a stapler. 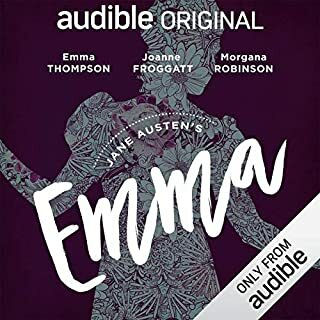 My Audible app crashed and I took it as a sign and abandoned Emma. But keep those free books coming, Audible. Why didn't I pay attention to all those awful reviews. I gave up on this one with 6 hours left so I don't know if eventually the woman hears a noise in the basement and goes to check on it in the dark, or looks down the barrel of a shotgun to see why it didn't fire, or puts a fork in an electric outlet to see if it is working. The year is 1517. Dismas is a relic hunter: one who procures "authentic" religious relics for wealthy and influential clients. His two most important patrons are Frederick the Wise, elector of Saxony; and soon-to-be Cardinal Albrecht of Mainz. While Frederick is drawn to the recent writing of Martin Luther, Albrecht pursues the financial and political benefits of religion and seeks to buy a cardinalship through the selling of indulgences. I revisited this book and listened to it a second time. My rule is that if I listen to a book twice I have to give it 5 stars, so I upgraded my rating.